I’m interested in creating a small home woodworking shop. I have a wide array of basic homeowner tools, but I’m looking to branch out into some more woodworking specific tools. The next tools on my list are a table saw, miter saw, planer, possibly jointer, and router. Space is at a premium – I’m working out of a half basement that is also our laundry room – and I’d also like to be able to use the table saw for some outdoor home repair projects I have planned for the spring. I’m open to options on the used market, but would like some advice on what to prioritize as first purchases and where I can wait. I do not plan to use premium roughsawn woods in the near future, so I thought I could perhaps get by without a jointer for the near future, as what I’ve read suggests that the benchtop models really aren’t worth it and I don’t have space for a full size jointer. In the interim, working with mostly cheaper stock lumber from Lowe’s while I learn some techniques and likely make mistakes, I thought i could get by with planing both sides of the boards on a benchtop planer and then “jointing” them square with a sled of some kind. I also think the planer is a tool I might go to the used market for, as there don’t seem to have been a lot of changes for this tool in recent years, and the big changes (like the shelix heads) can be added onto most models later and would not offer much benefit for my planned occasional use at this time. As for the table saw, I’m thinking of buying new and I am mostly looking at “jobsite” saws given the space premium. I looked at the used stuff, and while I’ve read some positive things about old Craftsman belt drive table saws, I don’t think I can make them work in my space, and I’m hesitant to buy a saw without modern safety features like guards and anti-kickback pawls. I’ve learned proper technique, but I don’t want to risk a major injury if I make an absent-minded beginner’s mistake. My budget for this is around $300. Everything seems to have some kind of compromise – the DeWalt DW745 looks great in terms of power, smoothness, and a rack and pinion fence mechanism, but it can’t accept a dado set. The Kobalt table saw can take a dado set, but the reviews are more mixed and the fence seems to have a good bit of slop in it and is hard to square. The Skil 3410-02 seems pretty good for the price, and can accept a dado set, but has mixed reviews on the fence and seems to have general overall quality control issues. Any suggestions in this area are welcome. I’m also looking at the Ridgid soft start jobsite option, but the Dewalt seems better for the price. Is dado functionality something I should/could skip and instead use a router for? For the Miter saw, I’m looking at the Kobalt 7-1/4" sliding single bevel. I like the size and the price, and the sliding feature seems to obviate most problems that would be associated with a smaller blade. I could also go for a used 10" non-sliding – suggestions? Routers I’m honestly very confused as to what I need. Any suggestions here are welcome. The Kobalt router + router table combo looks great for the price, but not sure if it’s missing something I’ll later find myself needing. After that rambling intro, really just looking for your opinions on how to set up a space-efficient shop and how to prioritize my purchases – what is a necessity and what can wait – what can I buy used and what should I stick to new equipment for. I got the Ridgid job site saw with gravity stand a little over three years ago for similar reasons. (Limited space, some of my projects were going to be away from home, price.) It can take a dado (6 inch, not 8 inch) but I haven’t used this feature myself. Overall I’ve been pleased with the saw, the fence is smooth (on mine). My biggest and issue with it (and it may be the same for all of these saws) is the anemic wrench they provide for the arbor nut. I have an older wrench from a different saw that I keep just for that reason. Table saw = Sawstop contractor saw. A little pricey but worth it, if you like your fingers. Add on a mobile base. Also you can add a router table on to your table saw to save on space. 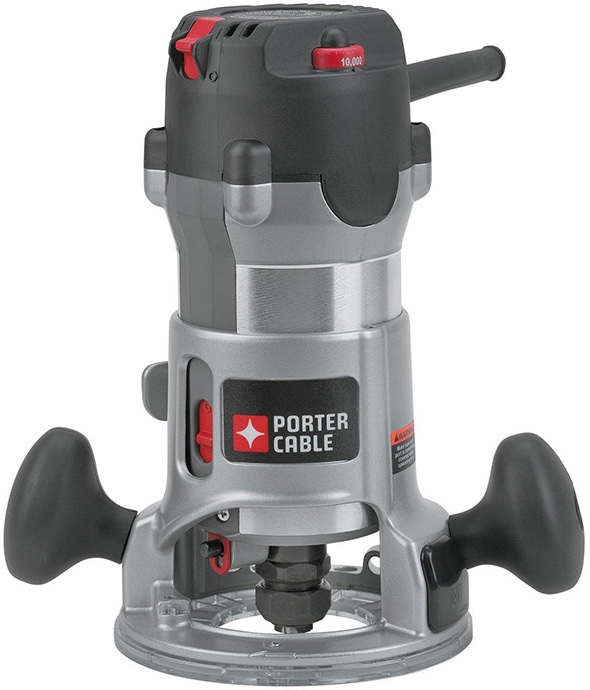 As for the router itself I would suggest Porter Cable or Dewalt 2 1/4 hp kit model. You get a fixed base and a plunge base. Can be used in the table or by hand. 7 1/4 in sliding compound miter saw is a good tool , I wish that opinion was available when I bought my 10" non sliding compound miter saw. Although you can do much better than Kobalt. These three tools are the base of any good shop. I noticed the room is also a laundry room. DUST COLLECTION is a absolute must. I know these options are more pricey than you are looking for, but at least you won’t be kicking yourself in the future. I know this from personal experience. As for the planer/joined issue I’m looking for myself. I hope this helps, good luck and have Fun! Which Ridgid do you have? I saw a review where the fence on the more expensive R4513 looked great but it seems the fence on the R4517/45171 is a bit flimsier. Thanks, Grady! Looking at the SawStop contractor saw, it looks both too expensive and too large for my planned use. The DeWalt router might be the decision. Generally, would you recommend against going lower than 2.25 hp? As far as 7 1/4 sliding miter, what brands do you suggest rather than Kobalt. The only one I’ve seen otherwise is Ryobi, and the Kobalt seemed better priced and slightly better reviewed. Do you think the Ryobi might be a better tool? Would I be better served with a non-sliding 10 inch? I have the R4513. I honestly haven’t checked out the new models/version since this one is still working well for what I need. Grady mentioned the Sawstop contractor saw. If I start using mine for projects more I’ll definitely be saving up for the Sawstop job site saw (again, space is a premium and being able to fold it up and put it out of the way is nice). For the miter saw Dewalt, Ridgid, Jet and Harbor Freight all have 7 1/4 in models. Also Craftsman has one but I don’t know if it is a Sears or SBD. My choice would be the Dewalt, however considering your budget Kobalt or Ryobi. Personally I don’t have any experience with the Kobalt. I currently have a 10 in non-sliding but looking at moving up to a sliding dual bevel model. It all depends on your projects and needs. Just be aware of the capacity of each model and make sure that it covers your needs. I bought my first router near 30 years ago. 1 1/2 hp with 1/4 in collet and a fixed base. My wife tried to talk me into a 2 1/4 hp 1/2 in collet with a plunge base. All though she knew very little about power tools, she was absolutely correct. I should have listened to her. I have since corrected my mistake three or four times. With a lower hp router if you hit a bad spot the router may grab and spin out of your hands, with a higher up the router will cut through the material. I’ve been in your boat or one like it for a few years now. Why the X stand - it folds up and takes less space - still portable - and sturdy. So I can put the saw against the corner and the stand on the wall above it. If I have to take it somewhere - fits in my explorer with ease. Router - no I would not get a router with less than 2.5HP if I was getting a full size - 1/2 inch collet style router. 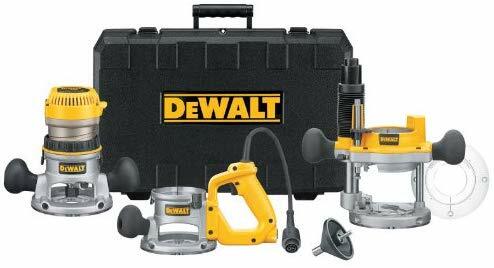 I current lust for the dewalt 618 I believe it is. My Skil one is hard to keep square in the base. Might be my own fault though. Mitre saw - yes get one even a cheap one. I current have a ryobi 10in compound mitre. I plan on upgrading it to either a 10inch slider or a fixed 12. I think I want to stay 10 inch so it can use a common blade size for things like the ultra smooth finish fine tooth diablo blade. I might get either a Dewalt or the new model Ridgid slider - in 10 inch. But evan a cheap mitre saw with a quality blade does some good convient work. Can you make a sled for your table saw and get a mitre bar and . . . . Yes and if you want to minimize equipment this would work well - but you’ll spend as much in your jigs and the wood bits to make a quality jig and other pieces as you would for say a reasonable 200 is dollar mitre saw. Mine sits on a Dewalt stand that is the cheap, basic stand - which I also hang on the wall. I would not bother buying a 7-1/4 sliding mitre saw for the money but I have no need to be that portable. My 10 inch ryobi locked down - sits on the shelf on my worktable when not used - sitting on the brackets that lock it to the stand. Table space - I do have a work table but I find I usually have to have a bit of extra. Rolling tool cabinet (30 Inch) sometimes gets used too. BUT I recently bought Kobalt folding sawhorses - they are a knockoff of the Toughbuilt design - and cheaper. 50 dollars for the set - then I put 2 - 6ft 2x4’s in the pockets and lay 3/4 sheet of plywood also cut to 6ft x 44 inches - and that makes a great assembly table that can be taken down. Incidentally if you don’t want to get a mitre saw stand this setup works great for a mitre saw and double duty. IE put some bolt holes in the plate - and you could plunk down the mitre saw and remove it for a table again. There are a few other pieces that I got like 2 roller stands from HF because sale. They are good for supporting work coming off the table saw or for supporting work off the end of the mitre saw. Finally - if you are just starting out - consider getting a circular saw straight edge of some flavor (I got the empire product) or some track saw. If I had to do it over again I would skip the table saw first and get a track saw instead. Or I think I would, it would be a coin toss. Thanks Napalm. A lot to consider there. Does anyone have any experience with the DeWalt DW744 table saw? It seems to be a slightly less compact predecessor to the DW745. Looks to have a lot of features I’m looking for – compact enough to store vertically, still has rack and pinion fence, can run a dado blade. Found one recently used with a lot of useful accessories that could help getting started. If oyu can put eyes on it or even test it out - and make sure it’s in good working order I’d say buy it. I’m on the look out now for estate sales. Work buddy of mine got a drill press for 30 dollars - it’s a 80’s era Delta that is missing a belt but the motor turns. Worse case it might need a new bearing or something and a belt. hell of a find. I got a sale from CPO Outlet when I bought my dewalt table saw - or I wouldn’t have bought it. OH about the whole stand issue - again if space or budget is tight - those saw horses have adjustable height legs - and with the 2x4 and ply on top are very table/sturdy. SO you could use it as your table saw stand and your miter saw stand if needed. If that helps with the planning of items and space. I hang mine on the wall when not used they fold up decent. THey are not what I would call light. To that end - what I like about my current setup is in my garage I’m able to have the table saw in once place - the mirte saw at the end of the garage (because of dust) and then setup my assembly table and I can easly walk around them. But it does take up the bulk of the remaining garage when I do this. IE I have to take everything down if I want to park a car in the garage. I timed it one day and yes it takes the better part of 20 minutes to setup everything. I can live with that. Biggest thing I can tell you - I didn’t have all this at day one - this is a 4 year in the making trial and effort project. The DW744 is a good saw. I don’t recall that it could stand vertically, but maybe I’m wrong? I left it on the scissor stand. Getting the fence dialed parallel to the blade was a challenge, but that’s the case with many job site saws. Dust collection was terrible, also to be expected. Dust also jammed up the blade height adjustment, just clean the gear and lubricate with dry lube, problem solved. Rack and pinion fence was great. With a thin kerf blade it will rip 2x material like butter. Thanks RKA. The 744 I was looking at came with a dado set, crosscut sled, better miter guage, and a set of a few different finish blades for $200. It would have been a great buy for a beginner. I should have jumped on it quicker because it was delisted within 2 hours of posting. At this point I think I’m just going to keep my eye out for deals on the new dewalt jobsite saws, as they seem to be the best blend of quality and durability in that segment. Might go with a used contractor saw if I see a good deal on one and just keep that in the basement and use a circular saw for my outdoor stuff. So – routers. I know how they work, but a little confused on the market out there. I’m seeing a few decent kits that only come with a plunge or fixed base but appear to be well equipped in terms of power and price. As far as I can tell, there is no specific alternate base for some of the models. I’d like to have both plunge and fixed options, but I’m really very confused as to whether I need to get a combo kit with both bases, or if router bases are “universal” and I can just buy the other base separately. For routers - you might want to do a little more research to better frame what you want to do with them. The lines use to be more delineated - but now are a bit blurred by some overlap in capability. In rough terms they come in different sizes (dimensions and HP). Smaller routers (including cordless models) in the up to 1HP ranged - are usually thought of for inlay and edge-trimming work. When laminate countertops were more common - some of these tools came in kits designed around laminate work. Routers like the Bosch Colt and Makita XTR01T7 come to mind. Combine power and performance with comfort and convenience by choosing Compact Router with Plunge Base and Bag from DEWALT. Using larger bits (like for fabrication moldings) - often requires switching to a router table and using a router in the 2HP or higher category. Many of these come in kits - with plunge and fixed bases - and sometimes bases designed for under-table use. When it comes to router tables, you have a lot of different motor options. Back to your question about - buying a kit versus a fixed base router then adding a plunge base. Its generally cheaper to look around for a sale on a kit. If you can wait - Father’s day is coming - and tool sales often appear ahead of that date. Plunge and fixed bases are mostly not interchangeable from one model to the next - even from the same manufacturer. 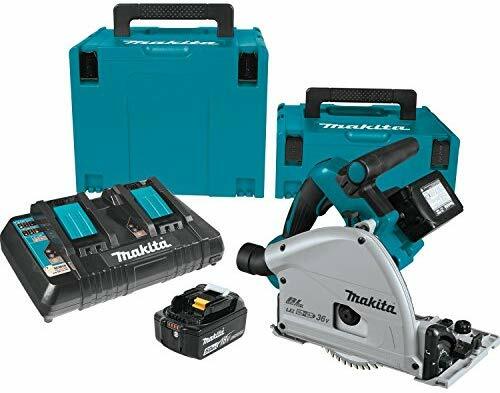 Perhaps a Makita base for their small corded router will fit their cordless router, or maybe a Ridgid base will fit a look-alike Ryobi - but its not often the case. Hey fred, I intend to use the router for a lot. Because of space constraints, I’ve decided to go with a table saw that can’t take a dado stack, so my router will be my dado cutter. Because of that, I wanted a router with a straight edge guide. I also want to use it with a jig to do dovetail joinery. I definitely want to be able to use a router table for roundovers and edge work. I was intending to get something around 2-2.25 hp rather than go underpowered now and have to buy a second tool later. 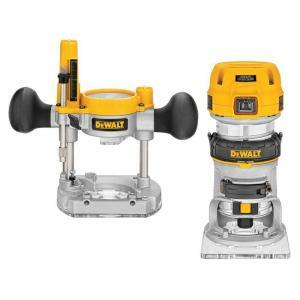 I like the look of the DeWalt 2.25 HP combo kit for the price, but I’m honestly not sure if I’ll need a plunge base or not. I’m not 100% sure what I’d use it for, but people seem to recommend it. Contrary to what many seem to report, I’ve had decent experiences with Kobalt and I like the look of their router/table/edge guide kit, which is well reviewed and seems pretty powerful and priced well, but does not come with a plunge base and it does not appear that one is sold separately. I also saw a few “plunge” routers out there that have the ability to fix their plunge bases – is that suboptimal for any reason? Any table saw can cut a dado - you do not need a dado stack - but without one you need to make multiple passes. Use a flat bottom or rip blade - set your rip fence - raise your blade for the depth of the dado - cut one edge of the dado - then move the fence (or add piece to your fence) to cut the other side of the dado. Then make successive cuts to nibble out what’s in between. BTW - use of dado sets are outlawed in much of Europe based on their perceived dangers. Also - every plunge base that I can recall can be locked at a fixed depth - and/or be set up to only plunge to a specific depth. Using a fixed base though makes it much easier to dial-in a repeatable fixed depth of cut and lock it in. With a fixed base the router also sits lower to the work providing greater ability. Plunge routers give you the ability to safely make stopped cuts (like stopped dados) - cuts in the middle of a workpiece - as in cutting out circles or other shapes. I have the DW618 kit. The kits are usually worth it. If you buy the plunge base separately, it costs a lot more. I wouldn’t be without a plunge base. My DW618 has really excellent dust collection built in. Routers can make quite a mess, and you can see what you’re cutting better, too. The add on edge guide is only $35 or so. Never had a problem with this router. It’s pretty easy to make a simple router table, not very expensive, either. If you look at routerforums.com you’ll see a bunch of homemade ones . If you make it the same height as your table saw, you can use it as an auxillary table. You can easily make one out of 2x4’s and a couple of mdf panels glued together with formica glued to it. Here’s a good video showing how https://www.youtube.com/watch?v=mW4RhvE8n2A. I used the method in this video when I made mine, but got the template for the router plate to put the plate in. You can later add a lift, there are some plans for homemade ones out there. for around $400. Look at a few youtube videos to see what they can do. Most of the tracksaw videos are about the Festool, but the Makita will do just as well for less money, and it’s still a quality tool. Good dust collection as well. Although the Makita tracks are fine, the Festool tracks fit them and are even better. You can also use a good tracksaw to cut dados, and some do rabbets with them. For a long time I’ve had a Hitachi 10" miter saw, (non-sliding). It will cut a 2x6. It came square and flat out of the box and has been a solid machine, except for the dust collection port. It had a 5 year warranty and I got it for under $100 on sale/damaged box. Never had a single problem with it. They have a new model for $129, and i would have bought it except for the same dust collection port. If you mostly work outside, this would still be a good choice. Because of the dust collection, I started looking at sliding miter saws. I decided a 7 1/2" didn’t cut much wider than the non-slider (8" from what I can tell), so went for a 10" which will cut about 12" wide. That’s a bunch of standard size shelves very quick. On Black Friday for $129, I got a Ryobi 10" slider, mainly because of the dust collection. Wood magazine, Oct 2018, has reviews of sliders and the Ryobi was highly rated for dust collection. I’m not sure how well I like it, it will need some adjustment, but worth it if the dc can work better So far it does work quite a bit better than the Hitachi dustwise, with just my shop vac hose. Still working on adjustments and the dc adaptations which look to be pretty effective. So, on to dust collection: I highly recommend a combination of the Dust Deputy cyclone and a Ridgid or similar shop vac with a filter and a bag for a cheap and fairly effective dust collection system to start. I tried a bunch of other things like the Dust-right from Rockler and all I had was clogged filters. Any bucket type “cyclone” doesn’t work as well as the cone DD type. 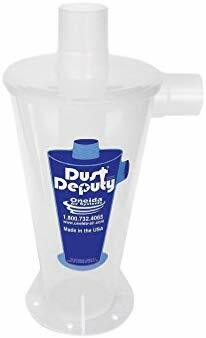 There’s a lot more to this story, but the Dust Deputy keeps the vacuum filter surprisingly dust free. I’ve emptied buckets of dust and nary a blocked filter. The clearvue cyclone mini is also good, but was out of production for a long time. For larger tools like a planer you’ll need a 4" or larger system, but that’s much more complex and perhaps step 2. And about the planer: You can’t plane both sides of a board. They will be flat but there’s no way to get them parallel. (see some youtube vids for an explanation) You can build a planer sled for the planer and get parallel sides, but you start with the planer sled to emulate the jointer, then use the planer second. The advantage is that you can “joint” much wider boards using the sled. Thanks for the detailed writeups. I think I’m going to try to hold out until Father’s Day for some of this stuff – do the decent 2.25 HP router kits tend to go on sale at all, or is $199 really the best I’ll ever get there? It seems like some classes of tools get regularly marked down, while others don’t. I don’t plan to do a ton of sheet goods in the near future, so a track saw is not really justifiable for me at this point, though I see the appeal. I’m going to stick with my circ saw and a straightedge for now. I think I’m going to try to build a mobile shop cart perhaps with collapsible melamine infeed/outfeed tables and wings for sheet goods and ripping longer lumber on the DW745. Tool sales seem like a hit or miss thing. 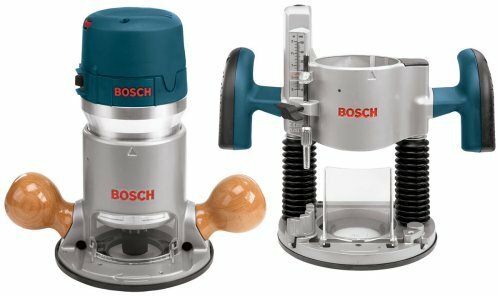 Gimmicky hand tools always seem to go on “sale” ahead of Father’s Day and Christmas. 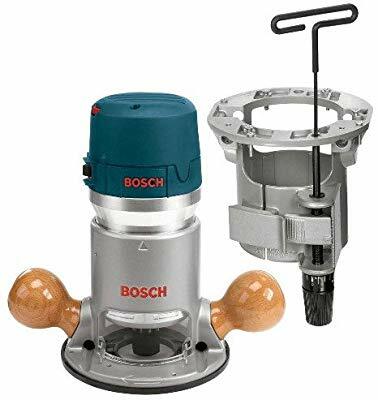 Manufacturers like Bosch, Dewalt, Makita and Milwaukee and Makita seem to offer things like $20 off $100 from time to time. They also seem to be mostly promoting cordless tools - both with sales and with new designs. There seem to be fewer new corded tools being introduced - and sales on them seem scarce. But you would likely be better served looking at corded versions of a miter saw, table saw and router.